65-kWh battery powers two e-motors with a combined 700 lb-ft of torque. 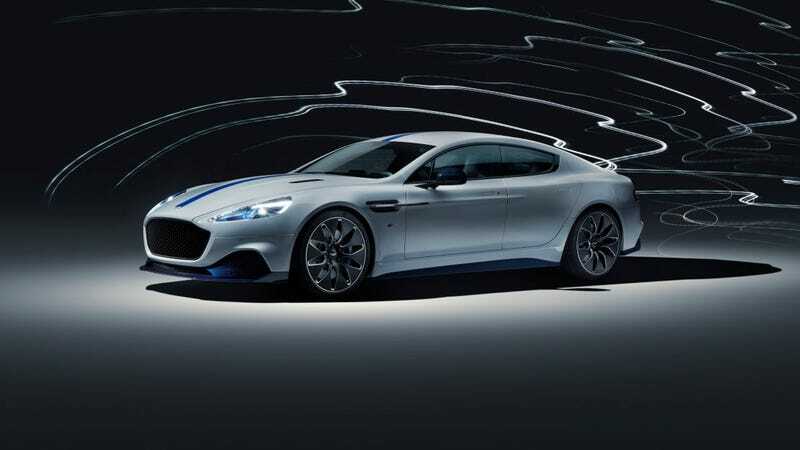 I was excited that Aston is making an electric Rapide. With the E Tron and Taycan giving Tesla a run for the money, Aston was the perfect candidate to make things spicier. I mean look at the futuristic cars and concepts they just came out with! The Vanquish concept, AM-RB 003, Valkyrie, Lagonda! What the hell happened?! I am disappoint.